Wizards House Telvani usually live in isolation, improving their knowledge. But some ambitious wizards, their servants and clients still try to exploit the land of Vvardenfell. They build towers and villages around the east coast. Telvani believe that strong define virtue. Favorite architectural structure is Telvani wizard's tower. The towers are very different, but combines different organic forms such as, for example, stems or roots of giant fungi. Telvani settlements consist of smaller pieces of mushrooms, which experienced craftsmen are building the house. We trust the members of the House Telvani make their own judgments. If you steal from another in the House and was still alive, then you deserve what stole. The murder of opponents by magic or betrayal - a common way to resolve conflicts. If you win, then your arguments allowed were more powerful. You can banish from here, as well as any other of the Great House, but the majority of those who serve the House Telvani not know about it, or they simply will not have to care. That is, if you do not agree with these rules, you can, of course, refuse. We agree. So, you take the house as a mercenary. Now you - Telvani magician, but as long as necessary to stay on the beck and call of the vote, while at the same time to meet with Councillors and see how and where they live. I must say, all Advisors Telvani - one other person brighter and from getting to know each of them is a lasting impression. Particular attention is paid to advise Archmagister gotra, in whose place you will eventually claim and Arion, who will be your mentor. Bypass all the votes and take them jobs. I advise you to be prudent and immediately put in the Council Chamber spell Mark. Have to run a lot. Gotra want to ask a few questions Baladas Demnevanni. You need to ask him: the disappearance of the Dwarves, Dwemer artifacts and language Dwemer. Not necessarily to get an answer, you just need to ask. Archmagister gotra learned the location of Dwemer ruins Nchuleft. These ruins are located to the west of the settlement Vos. We need to find out and deliver Dwemer plans and drawings. Tirana asked to give her new clothes. Felisa offers a quest 1000 Drake. Gives you a skirt and 2 scrolls Interventions Almsivi. From Sadrith Mora Tel Branoru can be reached by boat. Dictator lives in the upper tower rests in the Terai. Encourage her new skirt and hear in response that the thing could be cursed. To prove that no ill-fated spell at no skirt, Teran will offer you to try it for yourself. Once you make it unwise action, the old witch begins to throw in you not weak spells, so scroll better prepared in advance to have time to get-away. You can refer to a slave and the Terai to wear a skirt on it. Then anger Advisor fall on the poor Khajiit, and you can leave with a clear conscience, unless conscience will allow. Felisa on his return will only give you 500 gold and offered to teach wedged Mark and Return. Mrs. Teran concerned about the news of the uprising of slaves in the egg Abebaal mine. You need to go out there and put an end to the uprising until it spread to other possessions Terai. Help slaves escape - get nothing. Anyway, Voice Felisa Ulessen agree to teach spells: Order and Order humanoid creature. Arion wants Divayth Fira delivered a coded message, and wishes to receive from Divayth answer. Matendis gives you 4 potions walking on water, 4 potions fast swimming and 7 potions quality health recovery. From Sadrith Mora in Tel Fyr have to go on foot - on water and land. Find the tower is quite simple, you need to go straight to the southwest of the port Sadrith Mora. Finds the door and enter the Hall of Onyx. You can walk into a room that directly and get acquainted with one of the daughters Divayth, Beit Fir. But you have the right and up until you reach the door to the hall of Fira. Next - quickly and easily. Immediately after entering lift my head up and fly round the well. If you are not spinning, then after you take off to the left. 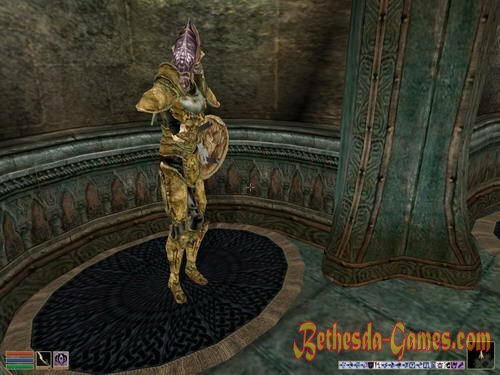 Dunmer have noticed in Daedric armor? This is Divayth Fir, give him a message from Arion. The magician asks to wait a moment while he wrote the answer. Taking response fly or walk or just spell Return to Matendisu. Suggested answer Fira and get a reward of 500 Drake. In telvanniyskogo pharmacist in Tel Vos end potions cure the plague. Arion requests to find 3 potions and take them to Apothecary Andilly. Potions have to buy - self-made unsuitable. Necessary potions can be found here, in Sadr Sea, Perlett Rostorard. Next stomp to the port and ask to take you to Tel Mora. There change to the boat to the village of Vos. It is a pleasure just 1 gold, but do not have to stomp from Tel Mora on the water. But then, in Tel Vos peshochkom to go, there is the benefit of close. Desired pharmacist - Altmer Andilly is hosted Tower. Give him the potion and instead get 3 bottles of quality health recovery and 3 - Recovery of fatigue. Return to Gialos Matendisu, get fairly earned 500 gold and ask you another puzzle. Mr. Arion need Daedra skin. Skin can be bought from Anis Selot (her shop in the northern part of the city, next to the Hole in the Wall Lights). According to a conventional route travel to Tel Vos. Arion thank you, paying 300 drakes, and offers to teach you to spell paralysis. Nelotu need 5 servings Soap Sload. On the costs you will be given 500 Drake. The task is simple - next to the tavern Hole in the Wall Lights lives alchemist Anis Selot, she of the soap in bulk, twice as much as you need. Buy and return to the building of the Council. Mr. Nelot asked him to find the Staff of the Silver Dawn. Arar believes that such staff have someone from the Mages Guild. Fastest - to cast Divine Intervention and exit through the Imperial cult first on the stairs, and then up to the separation of the Mages Guild in Wolverine Hall. Ask around gildiytsev, and they say that such staff have Ariel Finkel. Pretty Breton will offer you the right staff for 300 Drake. and propose to learn the spell Blindness. Daynali Dren, an alchemist Draty, need 5 servings Musca. Need to get them and bring. The ingredient can be bought from the alchemist Anis Selot or look for, where it grows muskpunzh and dial. You can say for sure that there is near Tel Branory. Bring them Raven and Drake and get 100 free lesson School Recovery - Heal spell common diseases. After that, it will ask if you want it more difficult tasks. Mrs. Draty need a ring, known as the Black evil. The ring is in Sadr Sea, according Draty. Walk around the city, asking the people. Traders do not know to them about it and do not talk, the guards say they do not know. In privratno inn also not knowledgeable in this matter. What to do? Go to a local hot spot - the restaurant Hole in the Wall Lights. Tedril Vandroiy Falena Hlaren, Ridena Otren or Tolvon Sarendas will tell you that this ring belongs to the guild Morag Tong. Like, if you're so brave, go and ask them yourself. You're brave? And so the stomp in Sadr marine residence Morag Tong and ask the first comer killer (his name is Dunsalipal Dun Ahhe) about the ring. He says it's none of your business. Go up to the second floor and again trying to happiness - this time in Alvena Salas. He will say that he has a ring. Next, your actions are. If you do not have to murderers relationship - either the insult him and fighting, or simply kill and take away the ring. You can still try to rob. If you are a member of the Morag Tong, then the rank of Master and above Alven himself will give you a ring, but if not grown to such rank - you choose. Or quarrel with him, and kill in a duel, or just kill and fly with a whistle from this guild. Good. Give it to Raven. As a reward, she will teach you two spells - demoralize and demoralized humanoid animal. Mr. Nelota interested mantle, known as the Pride Fighting Robe worn Senise Tindo. It is Mr. Gotrenu Tel Arun. Nelot wants to correct this "injustice" and get the gown itself, in its opinion Senise still a child, she is only 200 years old, and she is not worthy to wear such a thing. get from Nelota 10 drakes. Justice ring hidden in Sadr Mora, Tel Naga tower Nelota. Fast Eddie offers to steal it. To do this, he needs a key to the Tel Naga. Amulet of Unity was made many years ago, in the First Era. He is on the mainland and heavily guarded. Ed offers his whistle. He does not want to fight with the guards and therefore it needs at least 5 standard potions of invisibility. In the beginning you must obtain a building permit from the Vedas Dren, Duke Ebonheart, head of the Supreme Council and a representative of Uriel VII in Vvardenfell, who lives in Ebonheart, in the chambers of the Council. Then charge the 2 stone shower powerful beings (not weaker storm Atronach), they will form a foundation for the future of the tower. Could easily be used scrolls and spells to call Daedra - Golden hypocrites, or Winged Twilight Storm Atronach, then apply spell Conclusions and killing creatures, take heart. Building permit and soul gems need to bring the sorceress. After a while Llunela ask to go see how there is a construction of the fortress, which is not far from the grave Uvirita and talk to the foreman Gashnah gras-Mugol. Orchiha stands on a hill, right next to the place where construction has already begun your tower. She will ask you to convey Llunele that everything is in order. Sorceress, received this answer, rejoice that the fungi grow well and say a few days wait. After five days in the diary entry appears - you can stomp to Llunele and again bore her questions about the fortress. To continue the construction of the sorceress need drakes 5000 on costs and Dwemer schemes which are to the north-west of the fort being built in the ruins of the Dwemer: Mzanchend. When you enter into the iron door leading to the ruins, turn right and go up the stairs. Along the way you will meet unfriendly centurions and spirits gnomes. Schemes are in the right (from the entrance) the upper room on the bottom shelf of the rack. Bring them sorceress and again walk five days. For the last step will be to start as soon as we receive the rank of the Master. Sorceress offers Dwemer Centurions in defense. However, for this it is necessary book "Secrets Animunculi Dwemer" which was lost many years ago. Llunela tell you that the only copy is in ruins infested with vampires Gal Deus. It is easy to find the ruins of the description, which will sorceress. In Gal Deus find the door to the Observatory. Next, looking round the room, it lies on a table and the desired book. The crowd of vampires will attack you, so please potion of cure common diseases (unless, of course do not want to become a vampire) or spell. Of course, if you have already completed the main quest, you vampires are not scary. Also live in the ruins of the centurions. Grab a book and go back to Llunele Hleran. Some time later, after she received the book Dwemer, the construction of the fortress is completed. Can move their possessions to a new home. Mr. Arion agree to be your patron and ally, if you convince Baladas Demnevanni leave his retreat and to join the Council. With hopes Baladas Arion monitor old, suspicious and unimaginative, like gotra and Nelota. Moore struck Egg Mine Mudan-Mule. You need to go there and heal from illness Kwame uterus. Arion offers learn Healing spell plague Arion. Tower of Tel Vos need to go a little longer due west. In the mine finds the uterus and cast the spell. Suffice it once, and then in your diary mark appears that you have fulfilled the task. Mentor will give you the book "On the water breathing." Master Arion admires the fact that you got a good education in the House Telvanni, but as any student you have to learn the basic magic spells spell to return, standard levitation spell and spell, causing fire damage: Fireball. If the spell is already known, the cartridge will be delighted beyond measure and present a book on Magic Wars, written by legendary Tsurinom Arctus. If not, these spells can teach Fevin Ralen mage Telvani of Viveka or Felara Andreth from Tel Arun. Arion will tell you that one of the brothers Telvani, Milin headlamps subjected to abuse by members of the House Hlaalu in Odirnirane. It is located on the coast of Azura, to the west of the temple of Azura and south of the Dwemer ruins Nchurdamts. 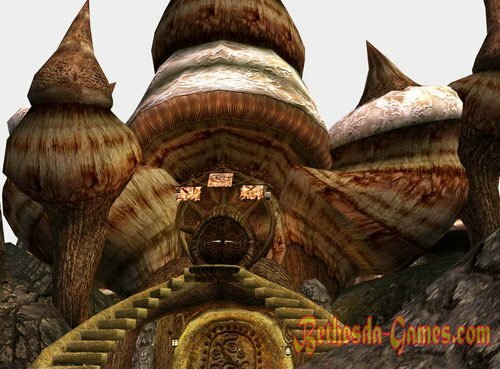 Thanks to a recent agreement with the House Hlaalu, Telvanni have had a chance to issue a resolution that would overturn the monopoly of the Mages Guild. According to one interpretation of the armistice agreement, only the Mages Guild can officially distribute spells and train non-members of the guild. Mr. Arion gives the task to get the support of at least three Councillors House Redoran in Ald'ruhn to appear before the Supreme Council. Mr. Arion asks for help in distress Telvani Favesu Andas whose Shishi fortress was attacked by the House Redoran. Velothi Tower is Foyada Bani Dud to the north-west of Maar Gan. For further growth in the House Telvani (receiving the title of the Wizard), you must find Telvani who would agree to be your voice in the Council. Arion tell that he had heard about a promising Telvani of Balmora. After completion of the first phase of construction of the fortress, Arion will tell you that the other Great Houses are built fortress without permission Duke Dren, respectively Houses can not protect such ownership officially. The cartridge gives the task to visit the castle Hlaalu: Reta estate and get rid of noblewoman Hlaalu Raynasy PETA. The estate is located on the Plateau Ōdai, ​​Mie, south of Balmora. Come out of the city and stomp along the river on the right bank directly to the south. The estate stands on a hill above the river. Enter - right, and then up the stairs. Raynasa unfriendly meet you, kill it and aozvraschaetes to Arion. Redoranskaya castle mansion Indarisa also deserves a visit Telvani House. Arion gives the task: to get rid of the young upstart gang Indarisa. The fortress was built in Bal Isra, between Ald'ruhn and Maar Gan. Follow the road with pointers from one city to another and see redoranskoe estate. How to enter - you in the door to the left and down the stairs. At the bottom of the room, too, two doors open again left where you already waiting hostile Indaris. To the help he can escape the other inhabitants of the manor. 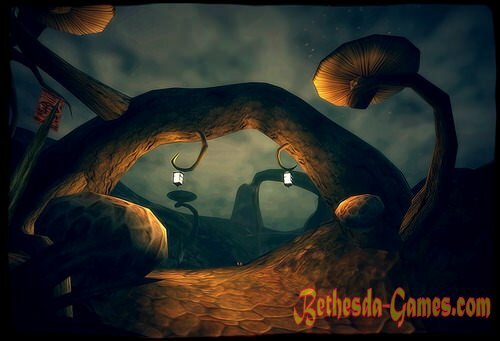 Get rid of redorantsa and return to Tel Vos. When will the second stage of construction of the fortress and have made all the basic tasks, Mr. Arion offer to become the new Archmagister Telvani. This requires a call to battle this Archmagister, gotra, and defeat him. Gotra lives in Tel Arun. At a sufficient level to fight him is not very difficult, but note that it is guarded by two Dremora and their favorite spell that does not have time to fly, it Paralysis. Prepare in advance. May also come running mates gotra, one good shot from a bow. After winning back to Arion and get the highest title in the Great House Telvanni: Archmagister. Shop "Rare books Jobasha" in Vivec, quarter Strangers. Holamayansky Monastery, located on the coast of Azura. Mrs. Terrana interested Bow Auriel, who in her opinion ashy smell sweet potato. Bow is in the Ghost Gate Eternal Guardian: Rhalina Otravelya. Mrs. Draty requests to find the Amulet of the flesh, became whole. One of the guards in Tel Naga hid from her the amulet 50 years, if not more. Draty believes that the amulet is the captain of the archers Nelota protection.